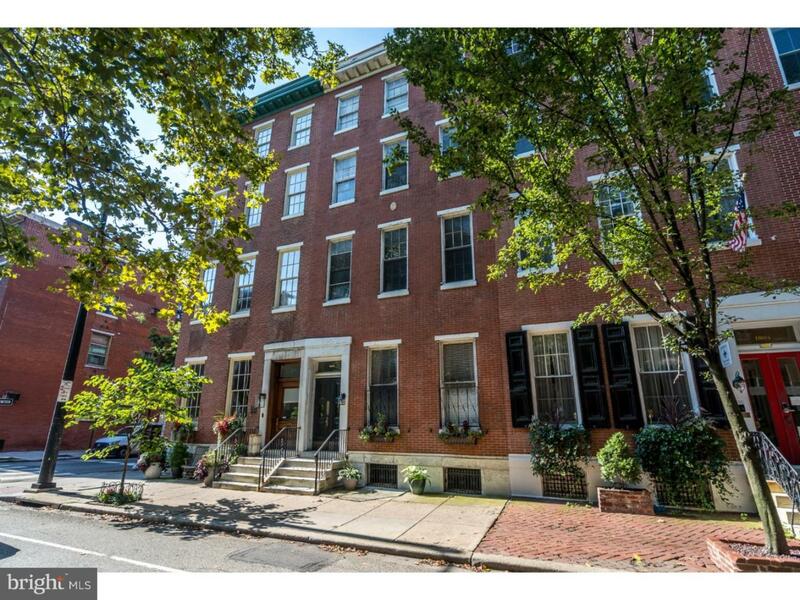 You can't beat the location for this comfy condo on a beautiful tree-lined street in Rittenhouse Square! Enter the handsome building into a well-kept foyer. The home is in the back of the building away from the street. The historic charm of the building and unit have been maintained while also providing modern comfort and amenities. This condo boasts hardwood floors, stainless steel appliances, a tiled bath, and a beautiful garden/patio out your kitchen door. A separate bedroom contains a closet. The living room has plenty of light and extra closets. In the basement of the building you'll find your own washer/dryer and additional private storage. There is also secure gated access to the rear of the unit for parking your bike. The low condo fees include water/sewer, heat, hot water and private trash and snow removal! The convenient location makes this a home a great investment! Home can also be sold furnished.